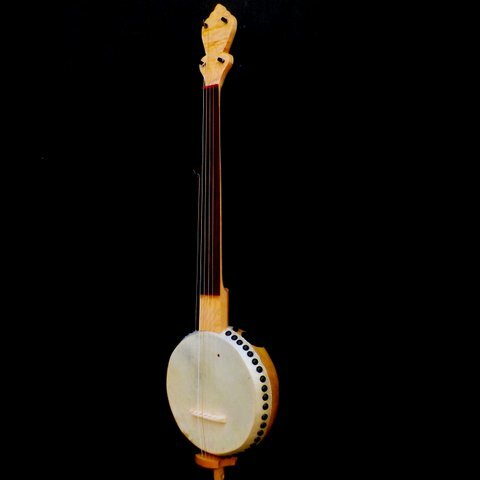 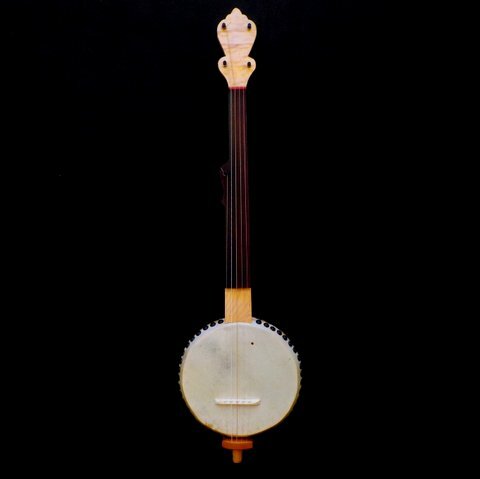 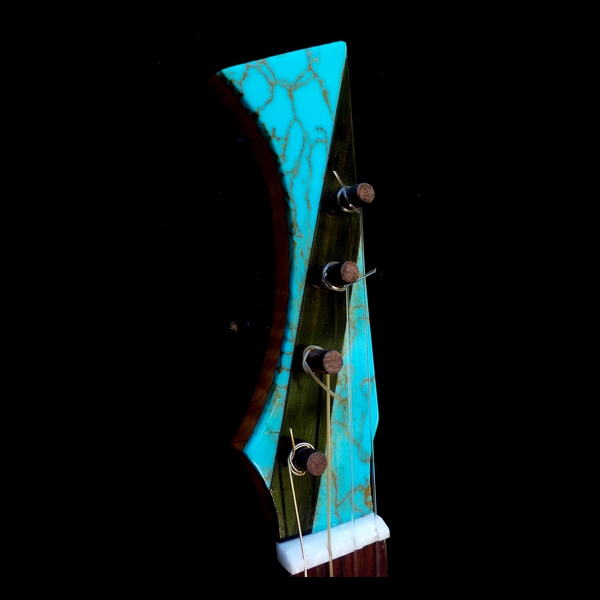 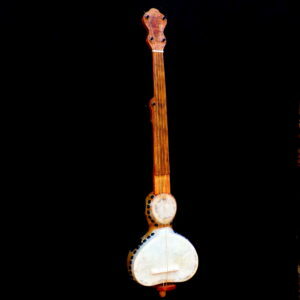 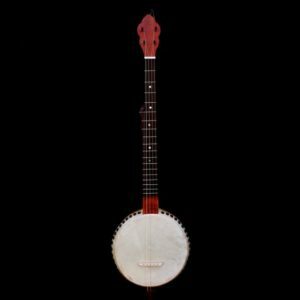 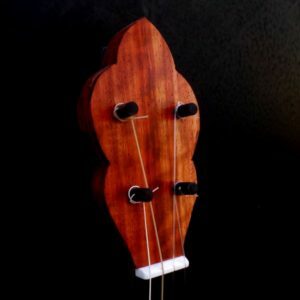 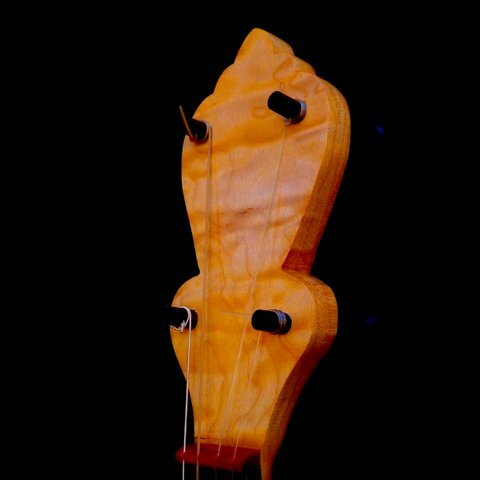 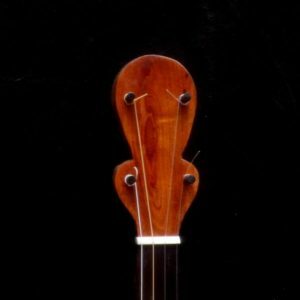 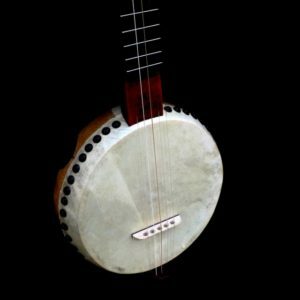 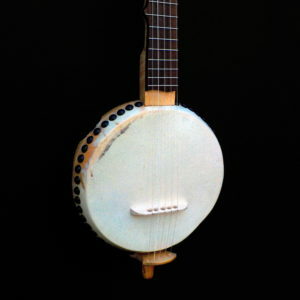 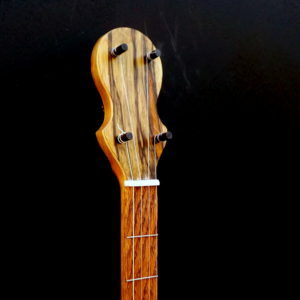 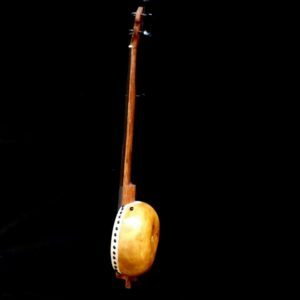 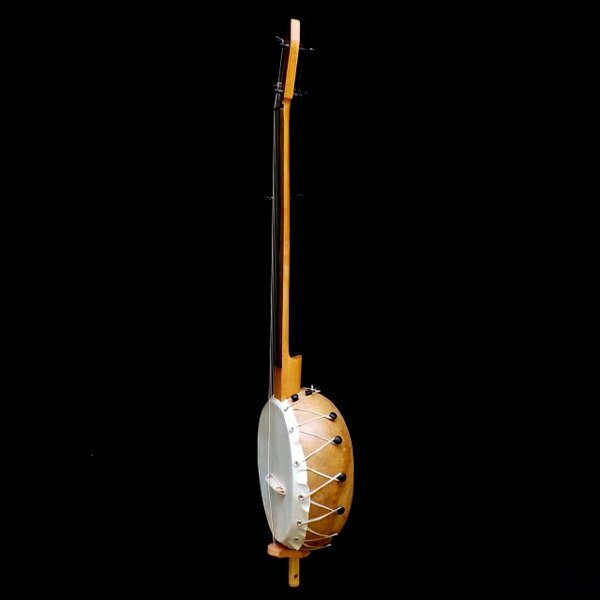 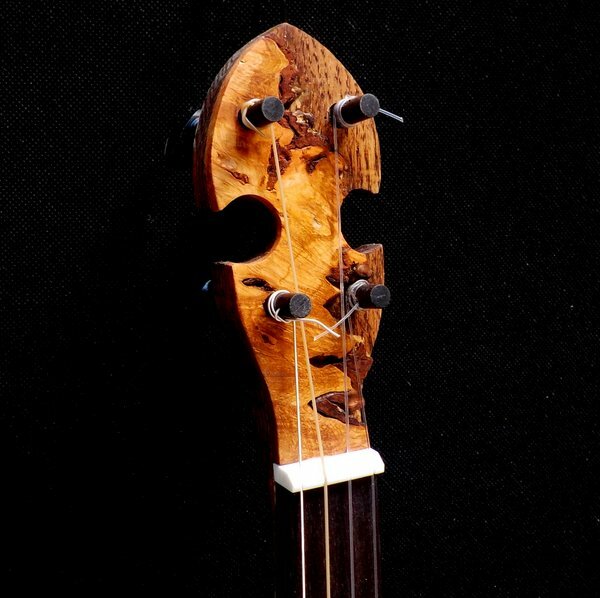 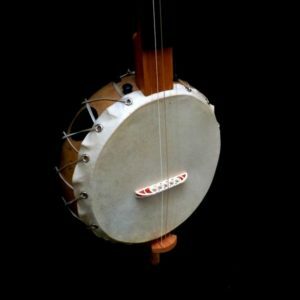 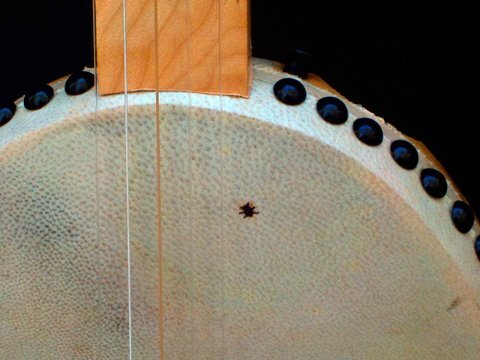 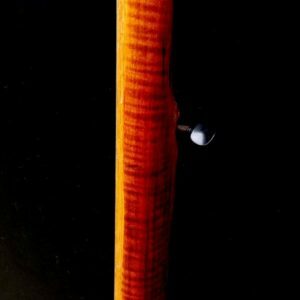 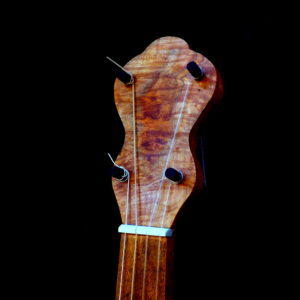 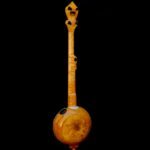 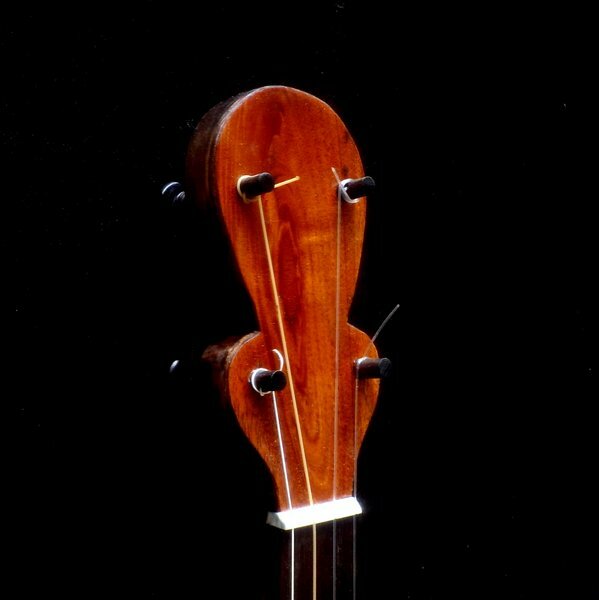 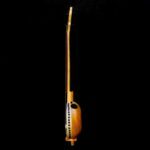 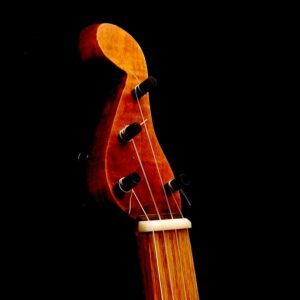 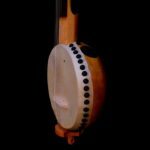 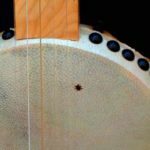 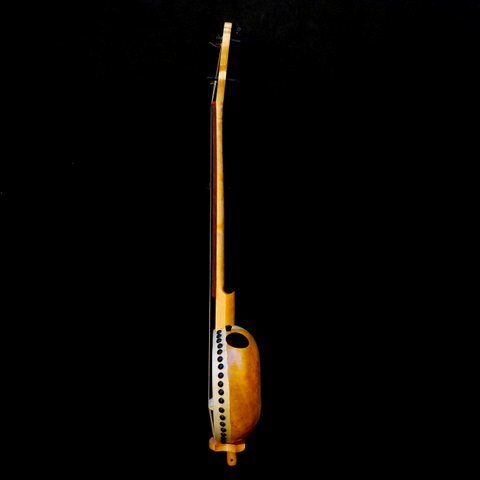 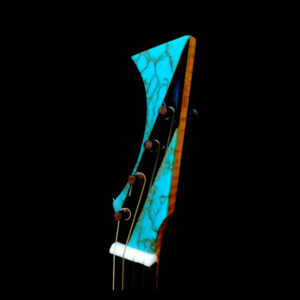 “The Tick”, is a short scale 23″ Gourd 5 string fretless banjo. 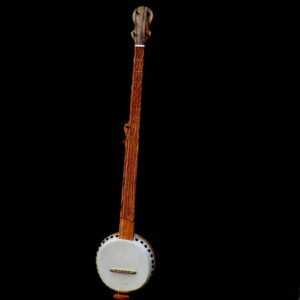 My standard banjos have a scale of 26 3/16″. This is 3″ shorter but is tuned to open G or whatever. 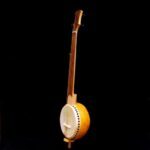 This is a little banjo with a narrower neck.. 1.25″ nut , making it ideal for small hands., Big sound hole a beautiful Quilted maple neck with satin finish. 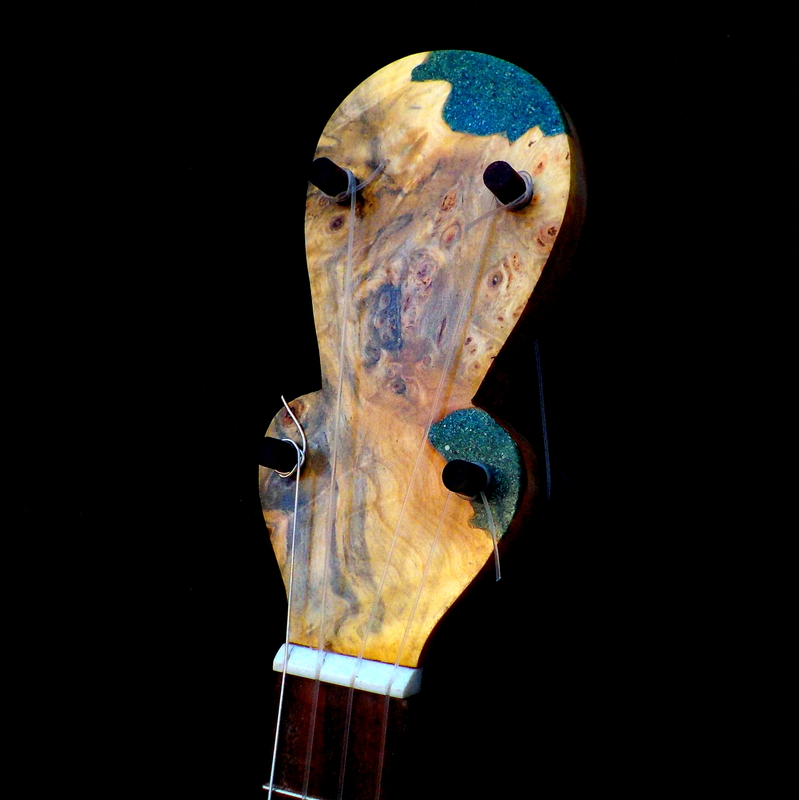 The nut is crimson reconstituted stone that adds a color accent the instrument. 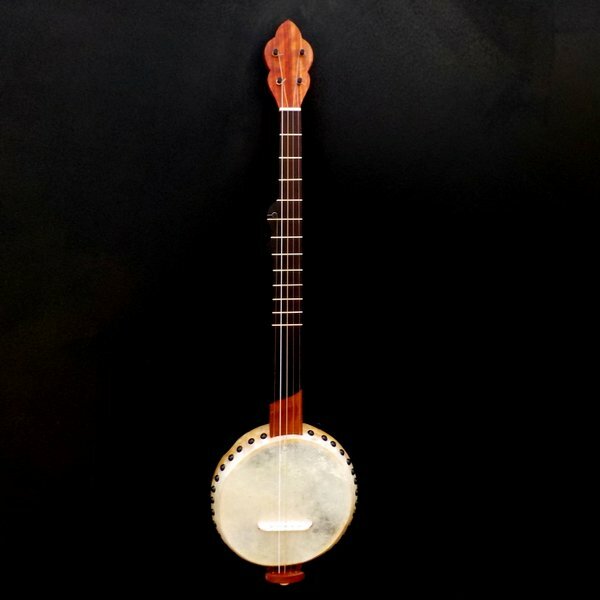 Barry Sholder Gourd 5 string fretless Banjo #346 "Buckbee"
Cherry Neck Rosewood fretless fingerboard finished in oil The neck has a double Ogee at the 5th peg Tuners are Ebony friction violins Barry Sholder Standard String set * extra sets are available on the accessories page Kettle Gourd 9" x 4 1/2" with 2" sound port Corian nut 34.19mm * This banjo can be special ordered with different wood combinations and tuners.